I’ve been pretty ADD with my projects lately. 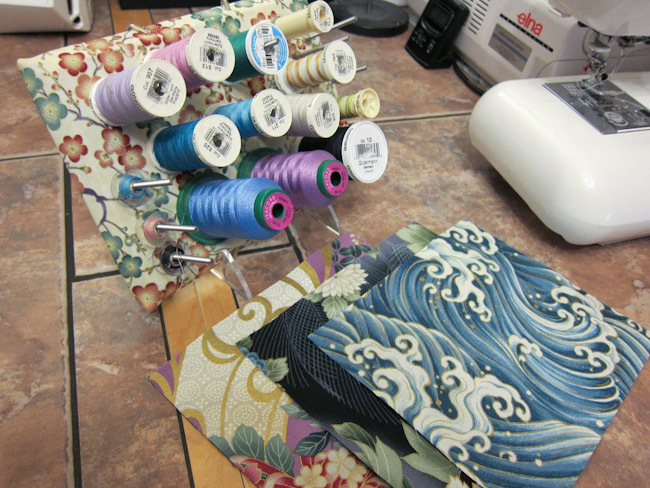 I’ve got like 4-5 projects going on at once, each with their own thread spool and as I no longer have room for a thread rack on the wall, the spools sit on my sewing table, getting lost in the piles of fabric or waiting for some errant cat to come along and knock them off. I decided I needed to make a small thread rack that could be put away when not being used, so I made a magnetic thread rack. 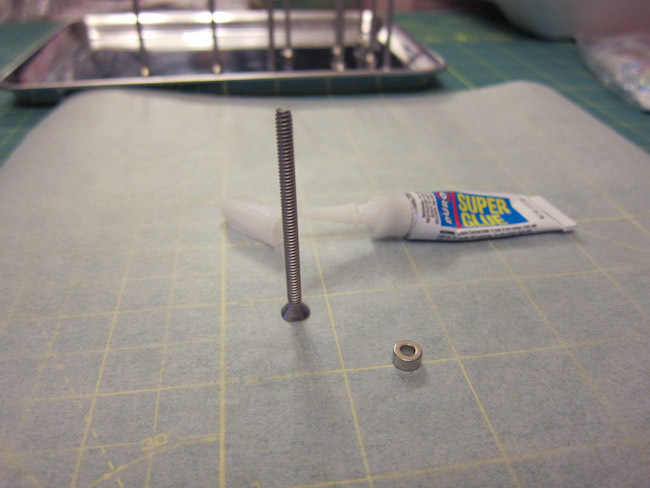 I used really small earth magnets because that’s what I had on hand. If I had to do it over, I’d use bigger earth magnets because these magnets aren’t strong enough to support really large spools of thread. 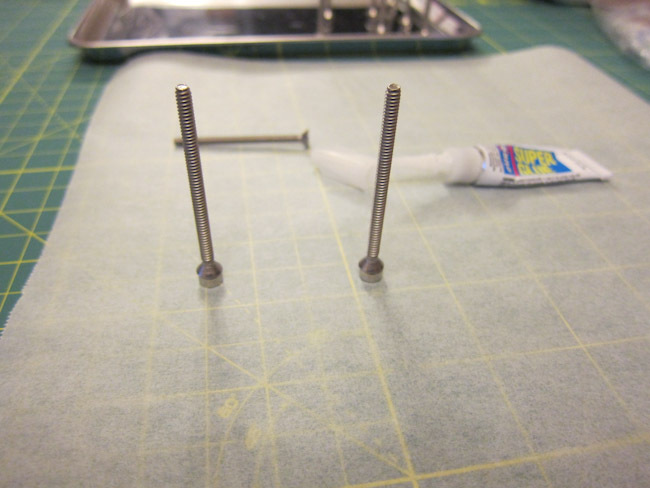 Create your thread rack pegs by super glue-ing the magnets to screw heads. 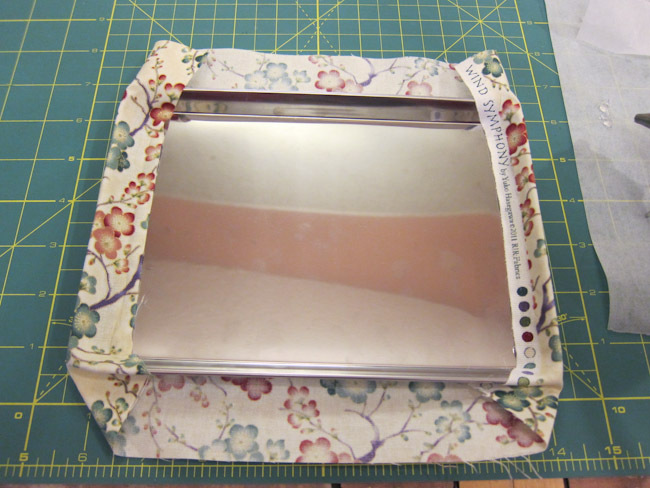 Cover the tray with fabric. 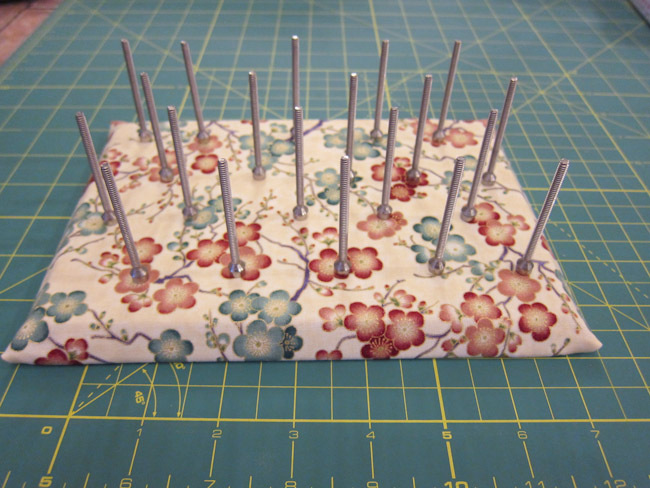 I used hotglue to glue the fabric on. 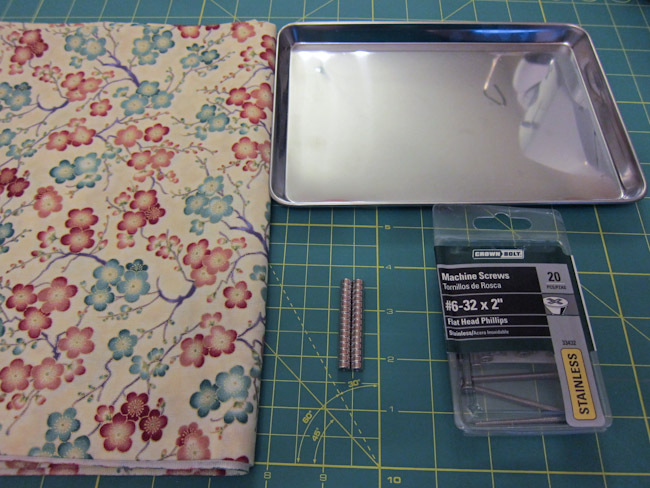 Now you just put the screws with magnets on the tray so they can be used for thread spools. 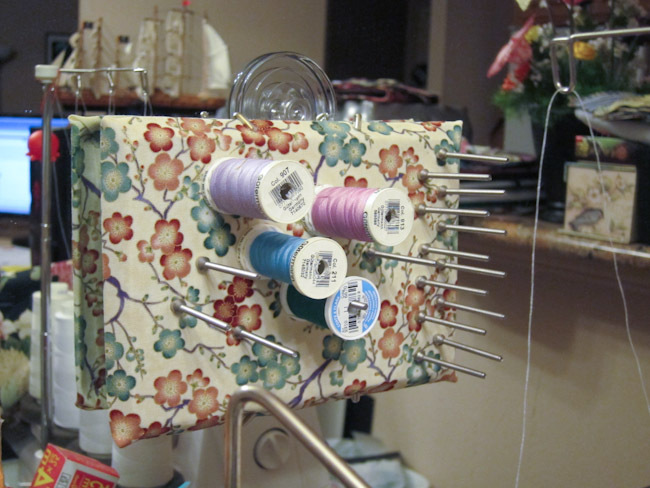 I wanted to have the thread rack propped up, or hanging on the wall, so I swung by the framing section of JoAnn Fabrics and picked up a plate holder rack and a plate hanger. 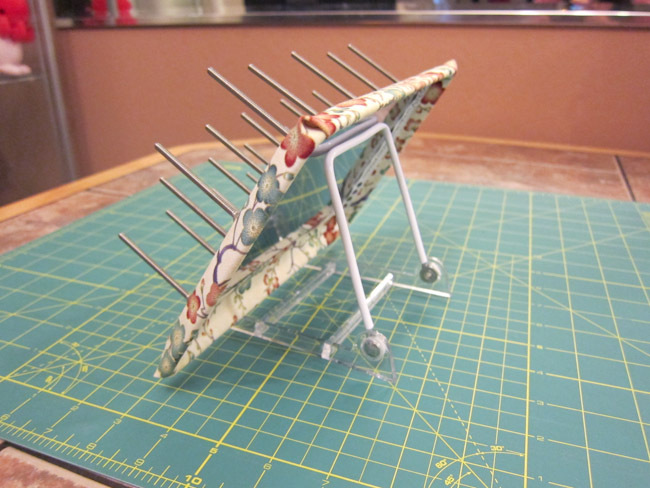 A plate holder rack is like a small easel and is perfect for when I want the thread rack on the table within reach. 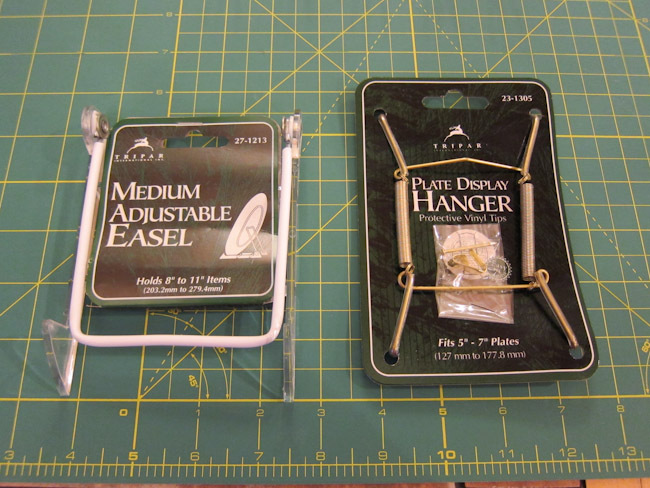 The plate hanger attaches to the back of the tray and is good for when I want the thread rack hanging on the wall. 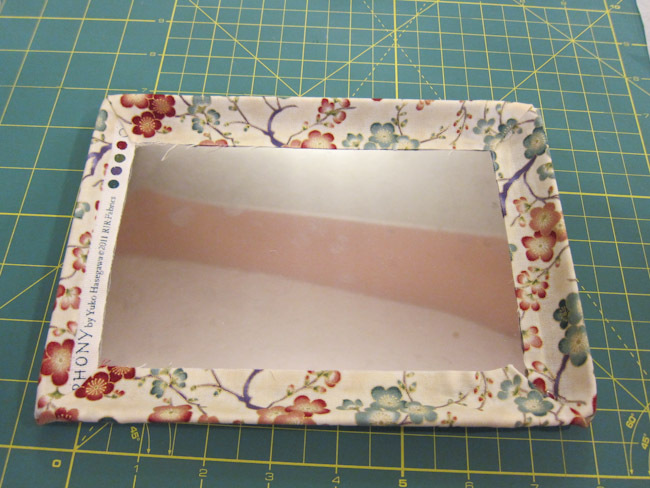 Or in my case, when I want to hang the rack on the mirror behind my sewing table. 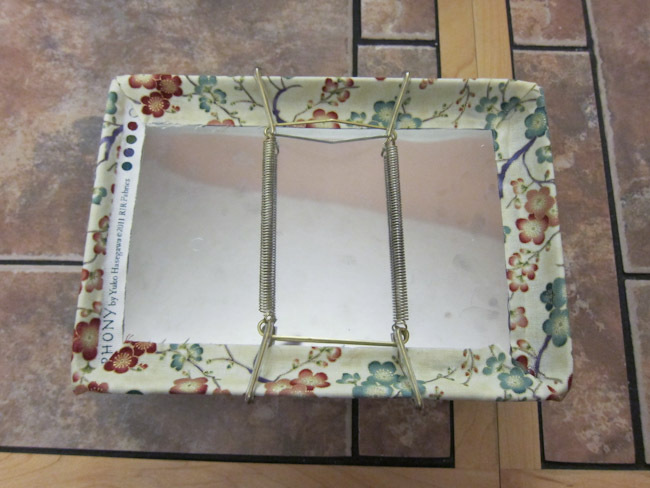 I used a suction cup hook to hang up my magnetic tray. 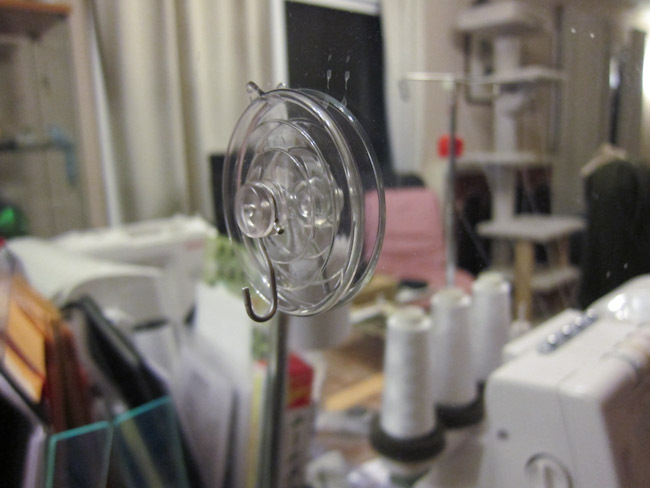 My last sewing project was making a bunch of sewing organizers that I assembly line produced, and I had to constantly swap threads spools and bobbins on 2 different sewing machines. 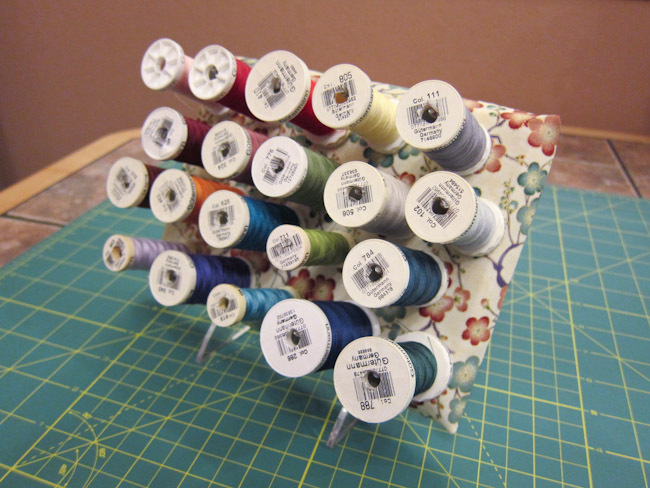 The magnetic thread rack was super useful in helping me keep track of all my thread. As an added bonus, it kept Bobo from chasing my thread spools right off the table which is one of his favorite activities. I’m pretty happy with how my makeshift magnetic thread rack turned out! 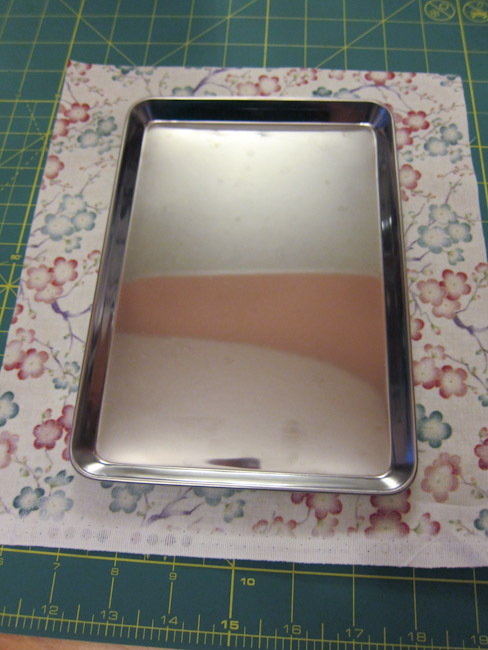 It’s been really handy and when I don’t need it anymore, I can take the pegs and throw them in a baggy and put away the tray. OMG THAT IS SO AWESOME!